Jesus said, as His Lord states in the Quran, "O Israel, I am the Messenger of Allaah for you confirming the Torah (which came) before me, and giving glad tidings of a Messenger to come after me, whose name is Ahmad [one of the names of the Prophet Muhammad peace be upon him]. But when he came to them with clear proofs, they said, ‘This is clear magic.’"
Question: One of the preachers in one of the mosques in Europe claimed that it is not allowed to consider Jews and Christians disbelievers. You know - may Allah preserve you - that most of the people who attend the mosques in Europe have very little knowledge. We fear that statements like this one will become widespread. Therefore, we request from you a complete and clear answer to this question. Many verses and hadeeth express the same meaning. The one who rejects the idea that the Jews and the Christians who do not believe in Muhammad [peace be upon him] and deny him are disbelievers is, in fact, denying what Allah has said. Denying what Allah has said is blasphemy. If anyone has any doubt concerning them being disbelievers, then he himself is also a disbeliever. How could that man be pleased to say that it is not allowed to say that they are disbelievers when they themselves say that Allah is one of a Trinity? Their Creator Himself has declared that they are disbelievers. How could this man not be pleased to call them disbelievers when they actually say, "Jesus is the son of God" or "the hand of Allah is tied," and "Allah is poor and we are rich"? How could this man not be pleased to call them disbelievers and apply the word of disbelief (kufr) to them in general when they describe their Lord in such ways that are nothing but cursing and abusing Allah? Based on that - and I repeat it for a third time - the person who made that statement [mentioned in the question] must repent to Allah, Most High. And he must also make it clear to all the people that those Jews and Christians are disbelievers. This is so because the proof has been established against them, they have received the message but they have refused to believe. The Jews have been described as those who have earned Allah’s wrath. That is because they knew the truth and chose to go against it. The Christians have been described as those who have gone astray. This is because they sought the truth but were misled from it. Now, all of them have knowledge of the truth and recognize it. However, they go against it. Therefore, they all deserve to have the wrath of Allah upon them. I call all those Jews and Christians to believe in Allah and all of His Messengers. I call upon them to follow the Prophet Muhammad (peace be upon him). This is what they have been ordered to do in their own books. Allah states in the Quran, "My Mercy embraces all things. That (Mercy) I shall ordain for those who are God-fearing and give zakat (charity), and those who believe in Our revelations. Those who follow the Messenger, the illiterate Prophet whom they find written about with them in the Torah and the Gospel, he commands what is right and forbids what is evil. He allows them the good things and forbids for them disdainful things. He releases them from their heavy burdens and from the fetters that were upon them. So those who believe in him, honour him, help him, and follow the light which has been sent down with him, it is they who will be successful. Say (O Muhammad): O Mankind! Verily, I am sent to all of you as the Messenger of Allah, to whom belongs the heavens and the earth. There is no true God but He. It is He who gives life and causes death. 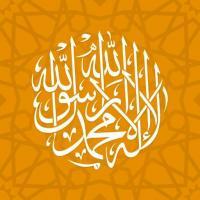 So believe in Allah and His Messenger, the unlettered, who believes in Allaah and His Words. And follow him so that you may be guided." [al-Araf, The Heights 7:156-158]. [By having such faith, those converts from Judaism and Christianity] shall receive their reward twice. The Messenger of Allah (peace be upon him) said, "There are three people who will receive their rewards twice: A person from the People of the Book [Jews and Christians] who believed in his prophet and believed in Muhammad..." [al-Bukhari and Muslim]. I have also found in the law book al-Iqna`, in the section on apostasy, where the author has stated, "One who does not consider as a disbeliever one who follows a religion other than Islam, such as the Christians, or who has doubt about their disbelief or who approves of their way himself is a disbeliever." And he quotes Ibn Taymiyyah (a Scholar from the middle ages) as saying, "[The following is] a disbeliever: Whoever believes that churches are the houses of Allah in which he He is worshipped or who thinks that what the Jews and Christians do are valid acts of worship of Allah and obedience to Him and His Messenger, or loves or approves of what they do, or aids them in having such places and establishing their religion, and he does so thinking that is a way of getting closer to Allah or worshipping Allah." He also stated, "If someone believes that visiting the Jews and the Christians in their places of worship is an act that brings him closer to Allah, then he is an apostate." These statements support what was stated in the text of the answer. This is a matter concerning which there is no room for doubt. And help is sought only with Allah.